The historic town of Dillon has a storied history. After the town moved from its original site where Lake Dillon now covers, condominiums sprang up all over the hillside along the lake to house locals and guests to the area alike. The gorgeous views of the mountains and the lake, along with being centrally located, are a big draw. The Lake Dillon Amphitheatre brings people from all over for music and entertainment all summer long. The popularity of the town keeps the older condos occupied on a regular basis. This and the subsequent cleaning can be hard on the appliances and care needs to be taken to monitor sounds, temperatures, proper cycling, etc of your dishwashers, washers, dryers, refrigerators, icemakers, and disposals so that problems can be caught in the early stages. The good thing is that many of the appliances that are in the condos are older, yet trustworthy appliances that do their job well. 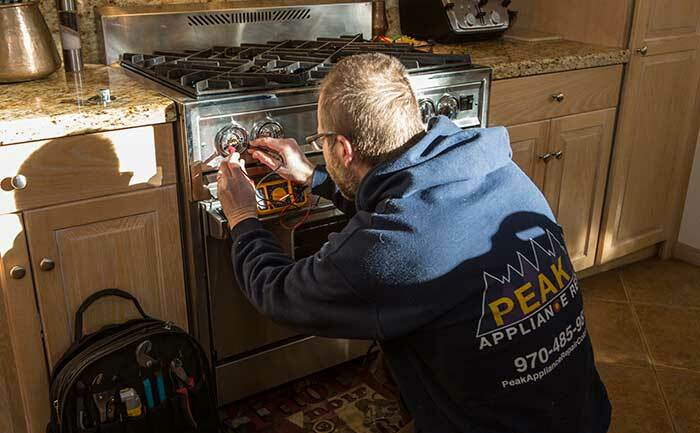 Contact us online or call us at 970-485-9818 to schedule your appliance repair in Dillon today!